Small demonstration of one of the modulation pedals with screw-on housing from the German firm. 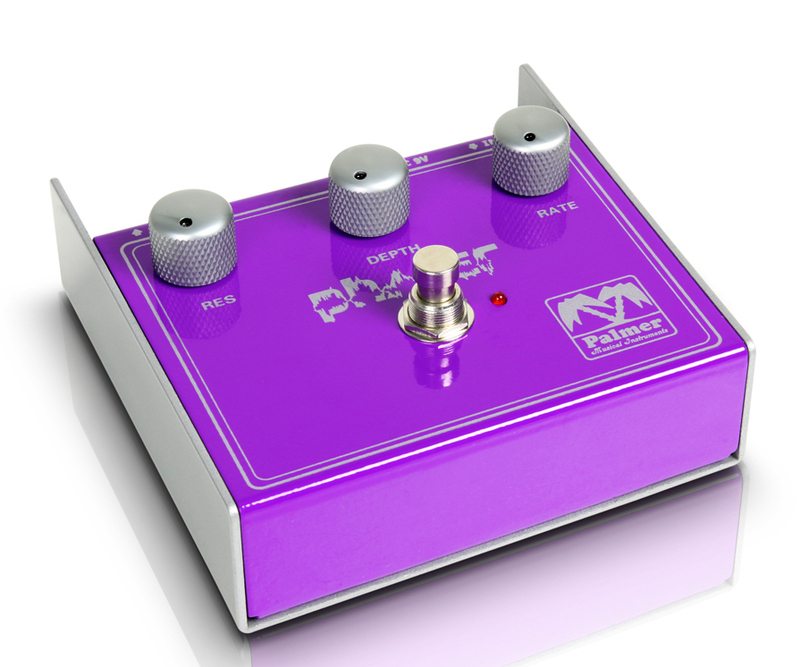 The pedal range from Palmer is quite wide (26 models) and there are pedals with very diverse effects in two different formats: the format shown here and in mini format. The mini series was recently expanded to include new-and-improved versions of the original models. This is particularly attractive to the increasing number of users who like to have the device in pocket-size. A prominent feature of this pedal is its screw-on format. They are all equipped with a port in the upper part of the front housing and so can be quickly and easily connected to our pedalboard (applies to both the large and smaller models). This guarantees they are well secured and we don&apos;t need to worry about any unexpected movements. These pedals are presented in heavy and robust steel casing with a structured surface and in diverse, strong colours. This allows the individual devices to stand out from each other when in use. In addition to the pedal and guitar combo, the wide range of individual guitar boxes and empty casings should also be highlighted, as should the loudspeaker simulators and the many accessories, which make the sound technician&apos;s job easier and more interesting. The Palmer range comprises the following products: switch, loudspeaker simulators, specialist DI speakers, splitters and summing units, amplifiers and guitar speakers, power supplies and guitar effects. 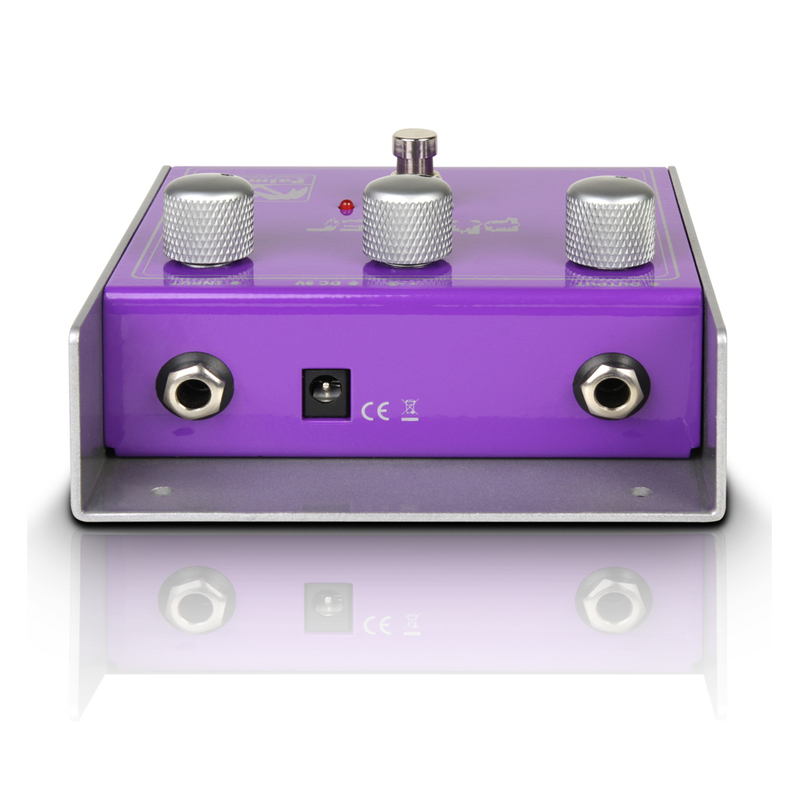 A simple pedal with three controllers for resonance, depth and index, plus an individual on-switch and a jack for 9V adapters. 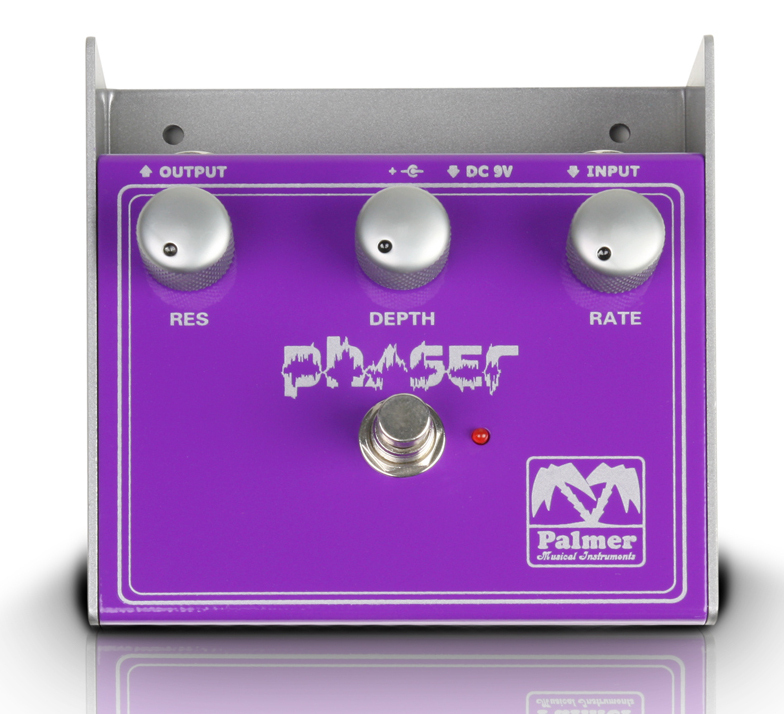 The Phaser is a remarkable modulation pedal. Its sound is based on tonal cycles that come and go, thereby producing the feeling of a to-and-fro movement. Phasers vary greatly in terms of features and results, depending on the brand. We really liked the tone of this phaser. It is warm and fluid. It has a detailed tonal range and a very real and personal underlying sound. The tone becomes slightly acoustic in low controller positions. We noticed that this phaser has a lower output volume than the amplifier. Anyone not wanting to lose sound can compensate this effect with a booster or a similar device. When the controller is very gradually moved, the device immediately does exactly as it is told and barely changes the signal at all. A good choice for two main reasons: solid construction with screw-on housing and a personal, varied tone. All this for a very good price.